so i experienced a little bit of a revelation the last time i shot; the 50mm lens i've had sitting in my house hardly touched since i bought it in january (i kept it for beauty posts) is in fact awesome for outfit photos! don't get me wrong myself and the lovely amy who shoots with are still learning but for our first attempt i absolutely love how they have turned out in comparison to my 18-55mm. 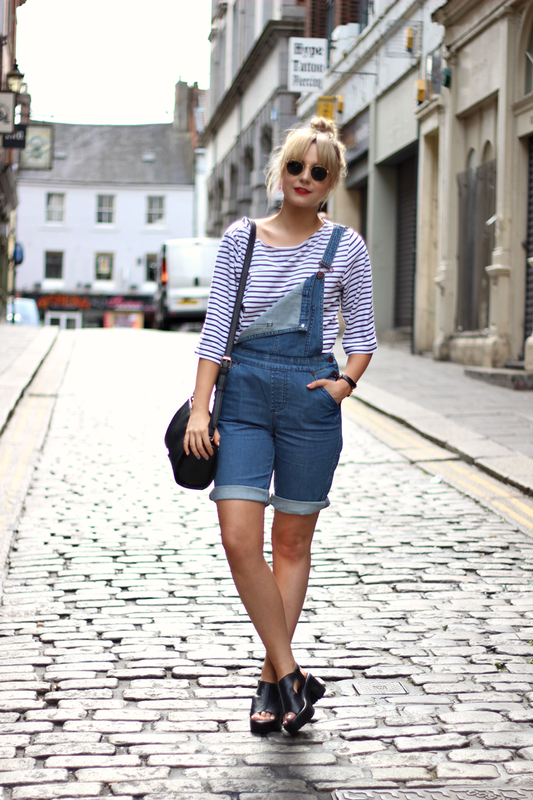 i know that to some people i'll be talking a load of 'mumbo-jumbo' so apologies i'll move onto the good stuff... bagging a pair of denim dungarees for £15 in the river island sale! this was perfect timing as i knew i wanted to get some but thought i was going to have to splurge as most were retailing at close to £50, which i knew was well out of my price range. they did only have a size 8 available which i knew was risky as i'm usually a 10 on the bottom but thankfully when i collected them they are pretty generous. for this post i rolled up the bottoms but i think i'm going to cut and sandpaper to make them into the short dungarees i originally wanted. what do you guys think? also, i'm not going to lie to you all i have a bit of an obsession with stripes at the moment. expect more stripe induced outfits soon. 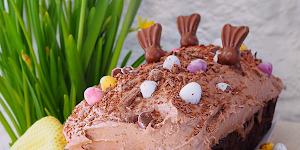 hope you like! let me know. if you were looking into buying a daniel wellington watch, whether for yourself or a loved one you can bag an extra 15% off with the code 'Charissas'. this code is only valid until the 26h of august though so don't miss out! gorgeous outfit, i love your watch! These photo's look gorgeous. For a first attempt on a 50mm I think they're amazing. I may have to stop using my 18-55mm and trying shooting with the 50 I have lying around. I love this outfit and I'm such a sucker for stripes, I may even have one to many stripes in my wardrobe and a few more stripes in my wishlist, I can't seem to get enough! I love, love, love this whole outfit! So cute! 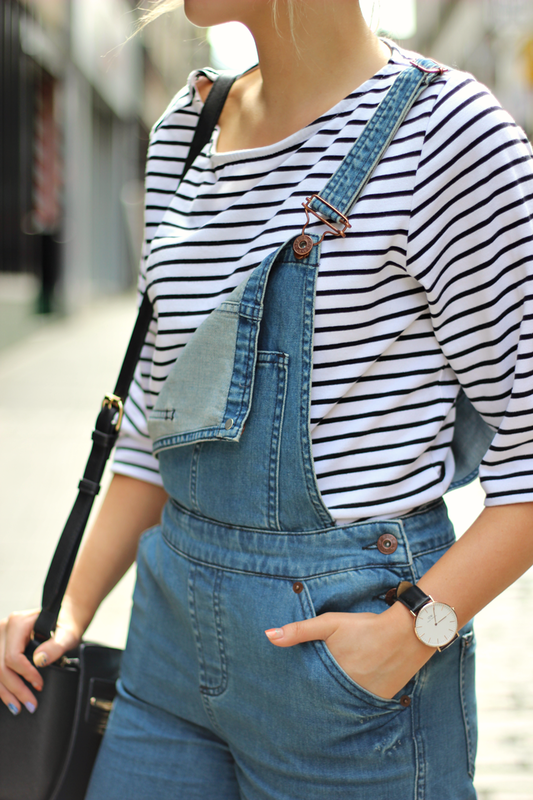 This is such a perfect look and those overalls are amazing! Love love love! Love this outfit and the lense makes the photos look amazing! Love this outfit! 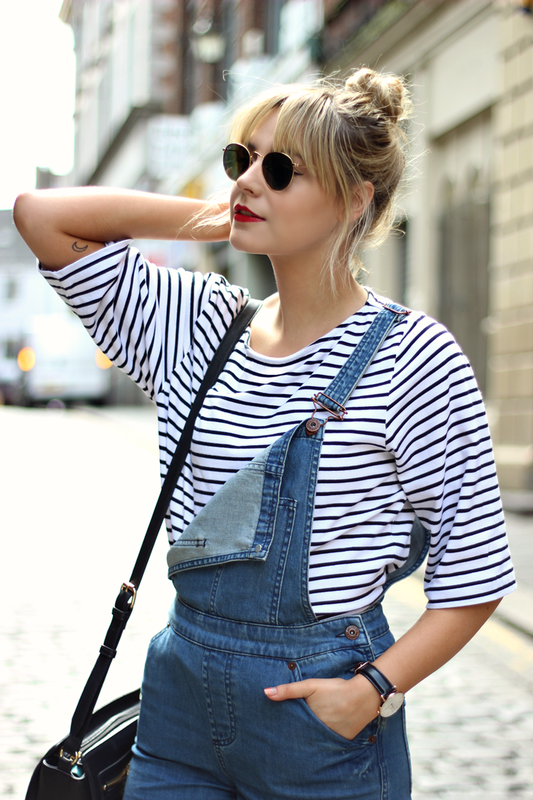 Can't beat a stripes & dungaree combo. Your photos look amazing too, I really need to learn more about my camera and lenses! Love the striped top and the photos look amazing! I'm deciding whether to get a 50mm lens or 85mm one, although I may just go for the 50mm after seeing your photos! 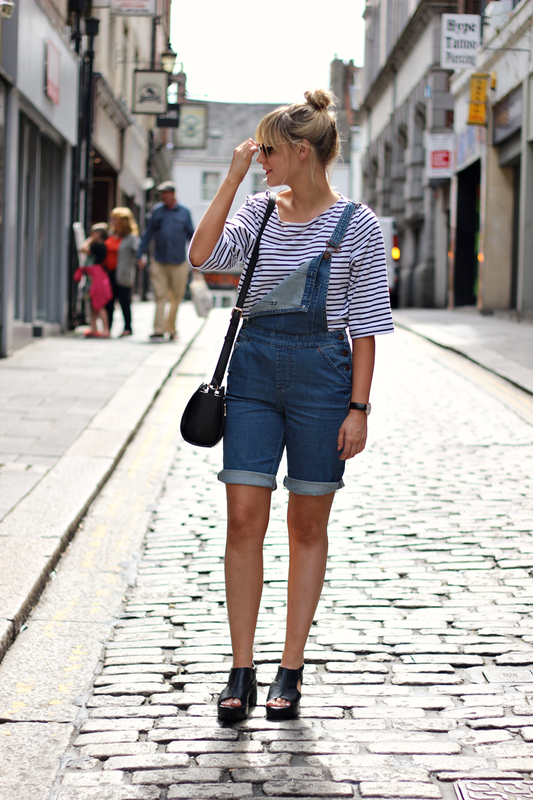 I really like those dungarees, and love how you have paired them with the slouchy striped top! Absolutely love this Charissa! You look amazing.